Incenter + Incircle Action (V2)! What vocabulary term would you ascribe to the 3 gray segments WITHIN THIS TRIANGLE? How do these 3 gray segments intersect? Describe. The light blue point is called the triangle's INCENTER. 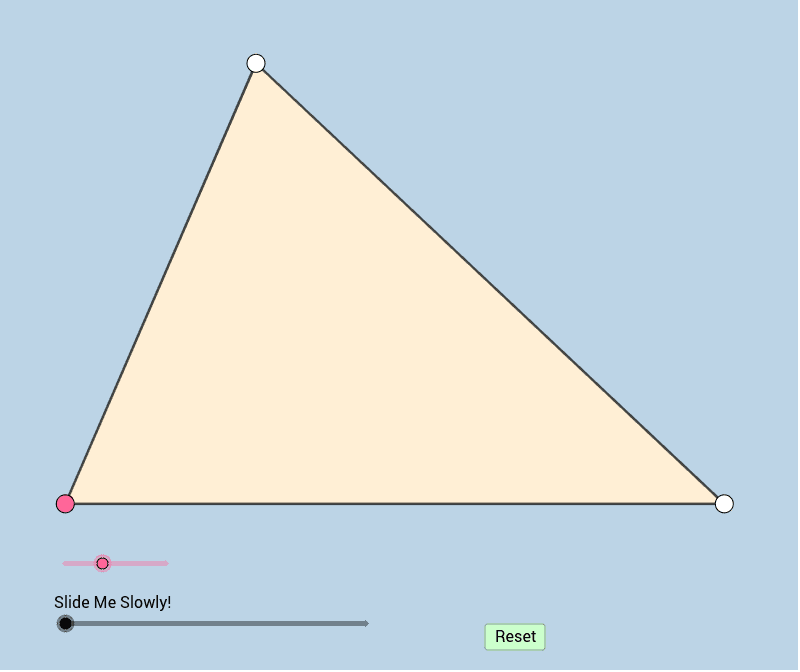 Notice there are 3 equal distances in this triangle. How would you describe these equal distances in your own words? That is, each of these distances is the distance from _________ to ___________? Why do your observation(s) and response to (3) above hold true? What previously learned theorem justifies this?